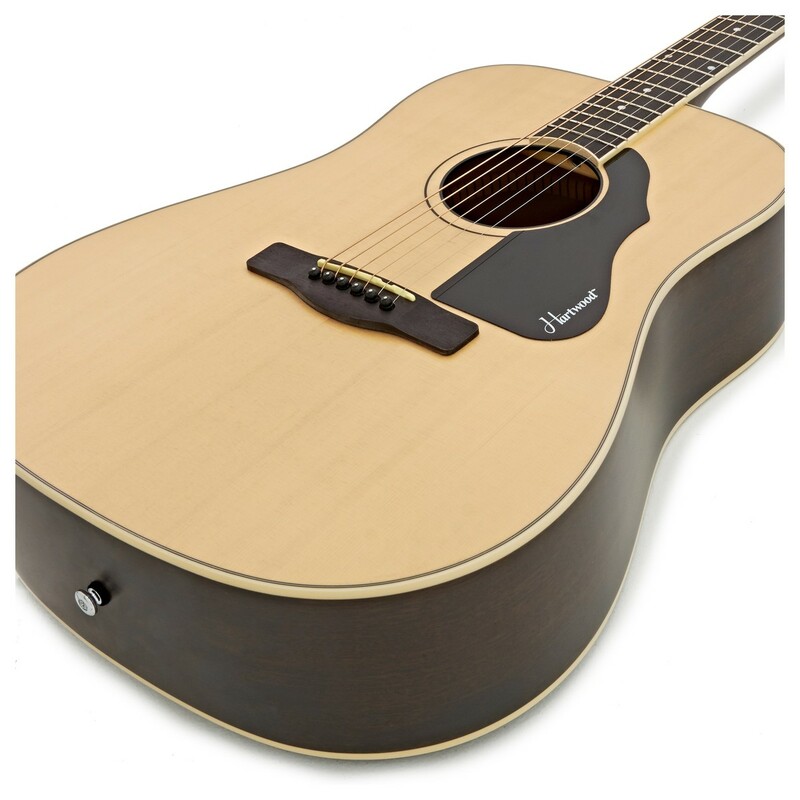 Stand out with the Hartwood Villanelle Dreadnought Acoustic Guitar. A guitar with classic looks and tone, paired with modern performance and reliability thanks to the craftsmanship and choice of materials. 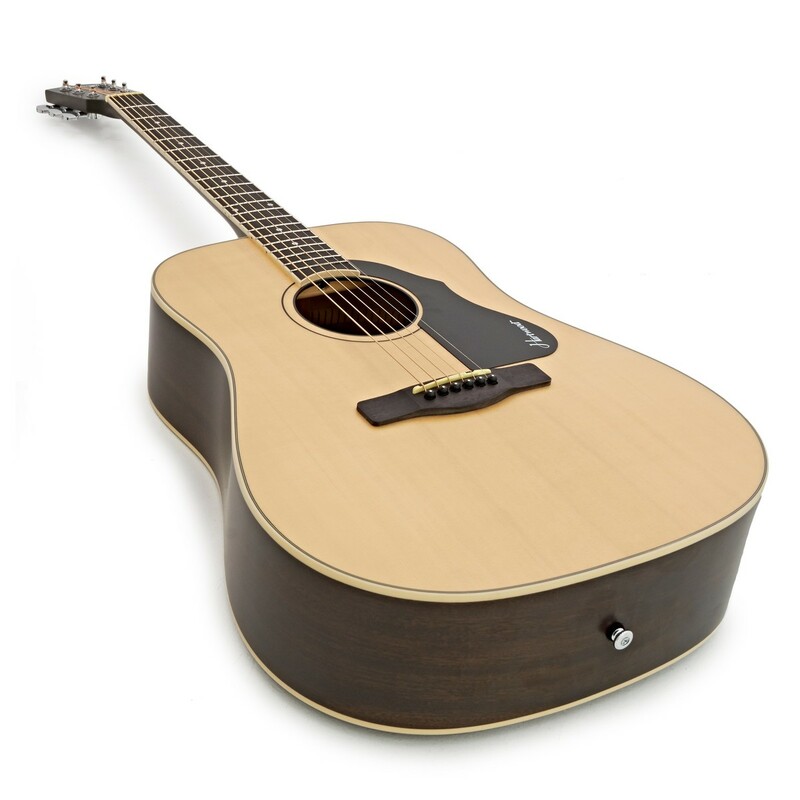 The sizeable and ergonomic dreadnought body produces a large and balanced sound, the use of a solid spruce top compliments this, helping to create a guitar ideal for powerful open chords. Whether playing fingerstyle or strumming big chords, the Hartwood Villanelle is an ideal choice for players who want to make themselves heard. The distinctive cream binding and simple rosette also set off the guitars classic design. You can enjoy an authentic look and feel, with a vintage tone you can take to the stage. The Hartwood Villanelle Dreadnought Acoustic Guitar is an instrument suitable for a range of styles and techniques. 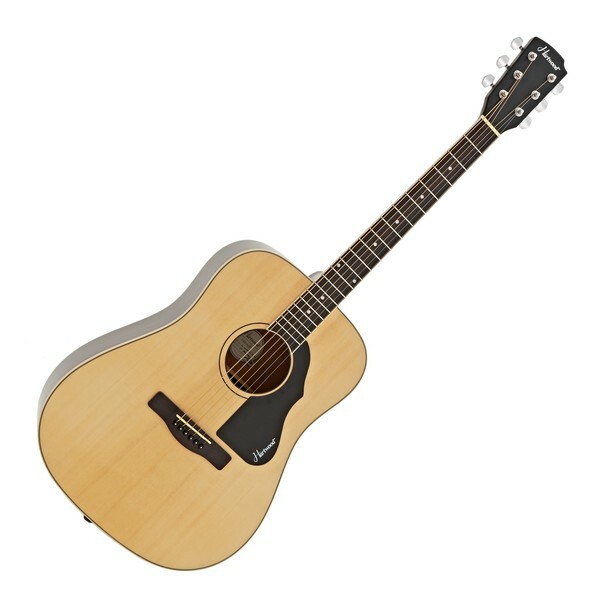 Ideal for producing big powerful open chords, the solid spruce top opens up to create a large sound.The Hartwood Villanelle dreadnought also responds well to delicate finger picking, bringing together the warmth of the mahogany back and the big rounded body. Produced in Indonesia by master craftsmen, the Hartwood Villanelle range offers quality construction matched with carefully selected high grade materials. The solid spruce has been chosen to provide sound that emphasises the natural mid-range of an acoustic guitar, cutting through without sounding to sharp and transferring enough low end to sound full and powerful. The choice of solid spruce is also paired with mahogany back and sides to give you an instrument which is built to last and sounds great. Constructed from Mahogany, the Villanelle's neck offers a quick and dynamic response. Known for its reliability, this wood has been used on high grade guitar necks for years, making it a worthy addition to the Hartwood Villanelle. Furthermore, the neck is topped with an American black walnut fingerboard, adding a mellow, warm tone to the guitar's overall sound. The use of this sustainable wood provides a smooth and stable surface great for all playing styles. Ideal for seasoned players and beginners alike, this affordable and great sounding instrument has looks to match. Complimenting the vintage sound created by the solid spruce top, the subtle cream binding and simple black ring rosette make for a classic yet distinctive instrument. 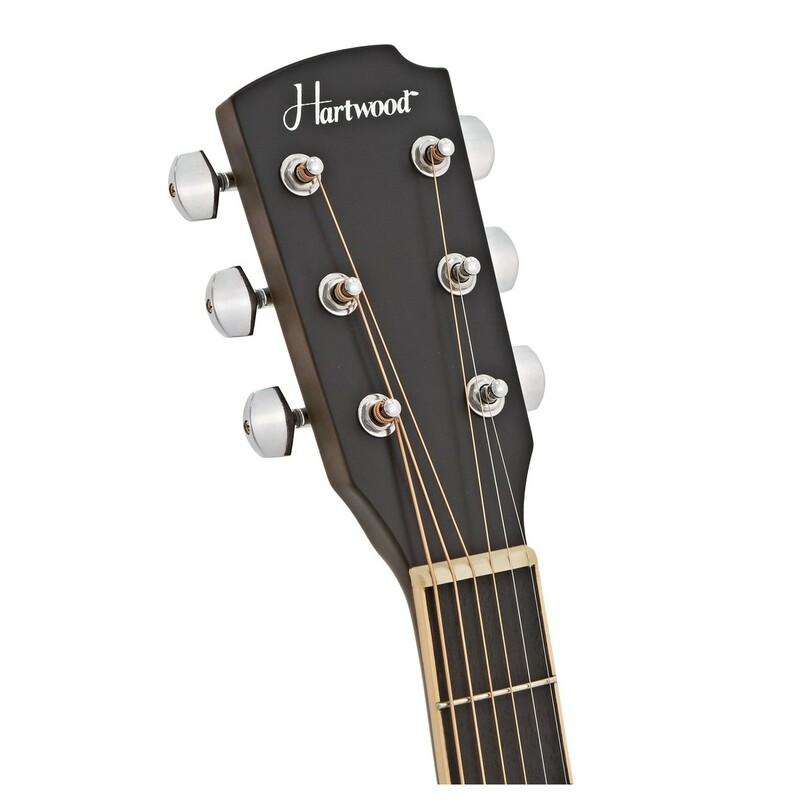 The eye-catching Hartwood headstock is combined with a vintage shaped scratchplate featuring the Hartwood logo to complete the look. The diecast chrome machine heads offer excellent tuning stability for an instrument suited to gigs and recording sessions.